The United States and the Soviet Union were actively engaged in an escalating and intense political, military, and economic confrontation between 1946 and 1991. Over the course of nearly five decades, Texas and Texans responded to their nation’s call to duty on both the military and home front, and served admirably. Although the Cold War officially ended almost 25 years ago, to many, the real sense of fear and anxiety that Texans (their parents and grandparents) felt is hard to comprehend or relate to. Like the rest of the nation, Texans worried about family members serving overseas during the Korean War, the Vietnam War, and Operation Desert Storm. On the home front, in small and large Texas towns alike, many feared nuclear annihilation and grappled with the need to build a bomb shelter in the back yard during the Arms Race. These same people participated in both anti-war protests and patriotic demonstrations of support in response to the Cold War's impact on their lives. 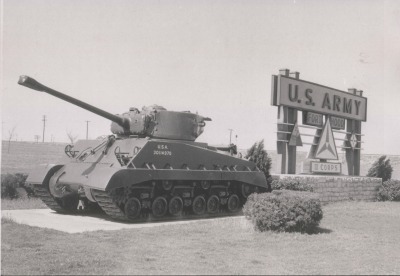 Throughout the Cold War, Texas was host to dozens of active duty Department of Defense sites, many of which whose origins began in World War II. A few are still open today. These Cold War military sites included U.S. Air Force bases and stations at Lubbock, Pyote, San Angelo, El Dorado, Del Rio, Eagle Pass, Laredo, Harlingen, San Antonio, Victoria, Houston, Bryan, Waco, Fort Worth, Wichita Falls, and Sherman; U.S. Army posts at Fort Bliss, Fort Sam Houston, Fort Hood, Fort Wolters, and Texarkana; and U.S. Navy air and fleet stations at Kingsville, Corpus Christi, Beeville, Dallas, Fort Worth, and Ingleside. 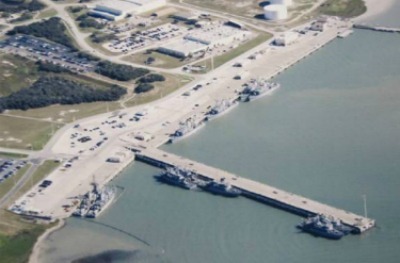 In addition, smaller facilities in Texas played major roles in the national defense: the U.S. Air Force-manned Atlas Missile bases, the U.S. Army-garrisoned Nike Missile batteries, and a U.S. Navy-operated Space Surveillance Field Station. These military sites trained young men and women in a post-World War II desegregated military for active duty in the U.S. Army, Air Force, Navy, and Coast Guard. The histories of these sites are documented at 'on base' museums, through the efforts of local county historical museums, public libraries, and at each respective branch’s national archive. However, the personal stories of the men and women who served in the Cold War—told in their own words—when recorded and preserved will enrich our understanding of this important period in our nation's history. 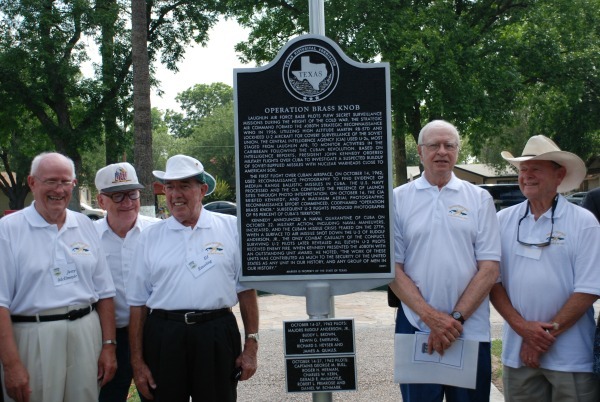 Several sites, events, and individuals associated with Texas’ role in the Cold War are already commemorated with Official Texas Historical Markers. These topics include: Kelly Air Force Base, Sheppard Air Force Base, Ellington Field, Operation Long Horn, Operation Brass Knob, Flour Bluff Independent School District, General Lucian K. Truscott, Jr., and the USS Uvalde. To read these markers’ inscriptions please visit the THC's Texas Historic Sites ATLAS. The state of Texas, by virtue of its distinguished and preeminent role in the Cold War from 1946 to 1991, is home to thousands of Cold War oral histories, both military and civilian, that remain unrecorded or preserved.To aid in the preservation of this history, the Texas Historical Commission's (THC) Military Sites Program recently conducted a two-year oral history series titled When the Lone Star State Met the Iron Curtain: Recollections of Texas in the Cold War. The THC wishes to thank The Summerlee Foundation for its generous funding that helped make this exciting initiative possible. With this project, THC Military Sites Program staff conducted 10 free oral history training workshops, encouraging attendees to preserve and share locally the oral history interviews they record and preserve. In emphasizing the importance of conducting and archiving interviews locally, the THC strives to meet its own mission of preserving Texas history for the use, education, and economic benefit of current and future generations of Texas. On August 24, 2013, THC staff, along with the Texas Forts Trails and Taylor County Historical Commission members co-hosted the THC's first Cold War-era oral history training workshop, held in a decommissioned 1960s-era Atlas F Missile silo near Lawn in Taylor County. 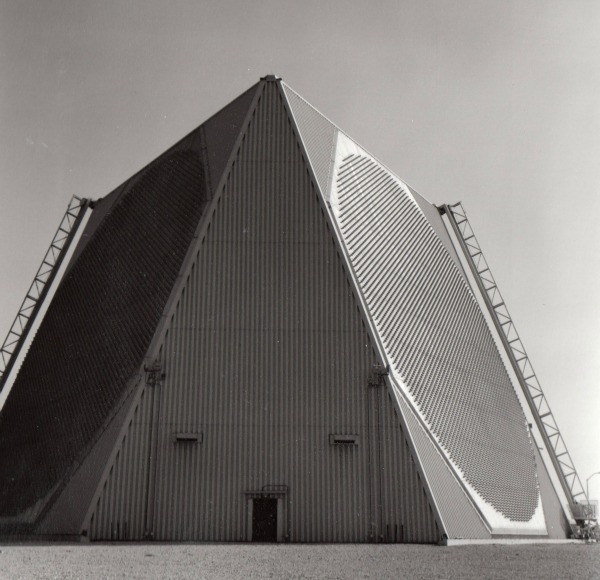 The Lawn Atlas Missile Base (LAMB) is a private Cold War historic preservation project. 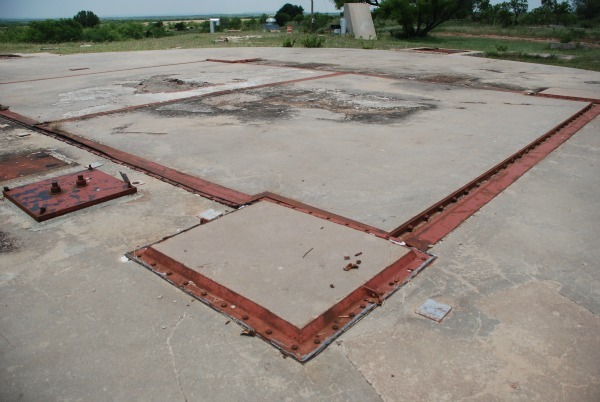 The Lawn site is one of 12 Intercontinental Ballistic Missile (ICBM) launch silos operated by the Strategic Air Command at Dyess Air Force Base from 1962 untill April 1965. Each silo was 185-feet deep and contained an 85-foot Atlas missile built by Convair Astronautics Division. From this location, the 3.5 Megaton nuclear warhead on the missile had the capability of reaching Soviet targets in approximately 30 minutes. Nationwide, Dyess Air Force Base was one of six U.S. Air Force bases selected to host the Atlas F ICBM system. 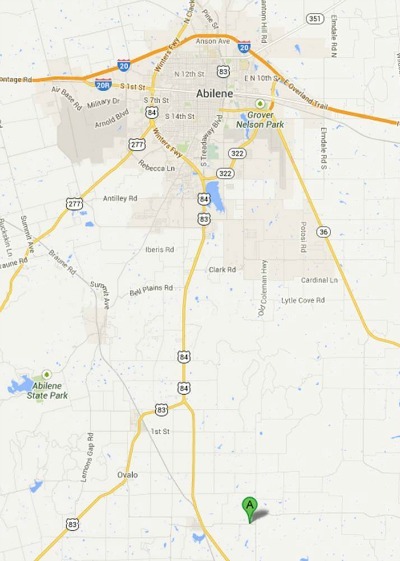 Twelve launch sites, with launch control centers and silos, were constructed in a pattern that encircled Abilene. 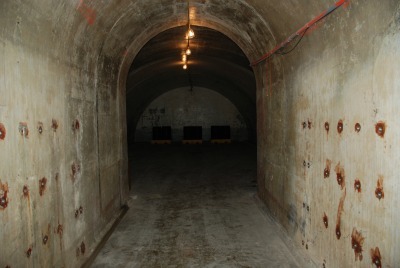 This was a massive construction project that bolstered military defense during the most intense period of the Cold War. The silos could house and protect the Atlas F missile from all but a direct nuclear strike. A “20th Century Fort,” the LAMB in Taylor County lies in the Forts Trail Region which showcases the heritage, natural beauty, and rich culture of a 29-county region of Central West Texas for the benefit and enjoyment of Texans and travelers. The goal of this initiative is the preservation of Cold War Texans' oral histories. Recording and preserving the oral histories of the early portion of the Cold War (e.g., the Berlin Blockade, the Korean War, the Cuban Missile Crisis, and the Vietnam War) will lead to a better understanding of the Cold War’s impact on Texas history. The most recent generation of this decades-long conflict, the veterans of the post Vietnam era through the first Gulf War (e.g., Operation Desert Storm), also have important stories to tell. The project included workshops for historic preservationists interested in learning how to record and preserve their local Cold War oral histories for preservation in their communities’ county historical commission archives, public libraries, and county museums. In addition, the THC was able to record, transcribe, and preserve a small number of oral history interviews directly, from narrators whose experiences range from the late 1940s to the end of the Vietnam War. Oral history training workshop participants received hands-on training with digital voice recording equipment, techniques for interviewing, transcribing and editing, and document preservation methods. Attendees received a free workbook with how to handouts on conducting oral history interviews. Finally, THC instructors encouraged participants on how to submit their future oral history recordings to the Library of Congress' Veterans History Project, as well as statewide Cold War-themed oral history programs such as Texas Tech University’s Vietnam Center and Archive, the National Vietnam War Museum in Mineral Wells, and The University of Texas at Austin’s Voces oral history project. THC historians have conducted nine oral history interviews to date associated with this project. Below are abstracts of two interviews. Please contact the THC to schedule an appointment to review these interviews' recordings and transcripts. The first interview in December 2013 was with veteran Pete Berkowitz (now chairman of the Texas Holocaust and Genocide Commission), who served at Fort Bliss from 1957–59 in the U.S. Army’s Office of Special Weapons Development. He also served as a NASA engineer on the Mercury, Gemini, and Apollo space programs during the 1960s. In March 2014, the second interview was recorded with Cold Warrior Bill Haenn veteran of the Berlin Brigade, serving in East Germany, and who led a U.S. Army detail that guarded the last Nazi World War II prisoner of war, Rudolf Hess (Prisoner #07) at the historic Spandau Prison. Below are three excerpts from the Pete Berkowitz Interview, click on each to learn more. Below are three excerpts from the Bill Haenn Interview, click on each to learn more. If you are unable to attend a workshop, please see the THC's publications below for information on how to successfully conduct an oral history interview. The following has photos from the Taylor County (Aug. 2013) and Grayson County (Jan. 2014) workshops.